Also kind of interesting, preening tends to take place as a group activity. 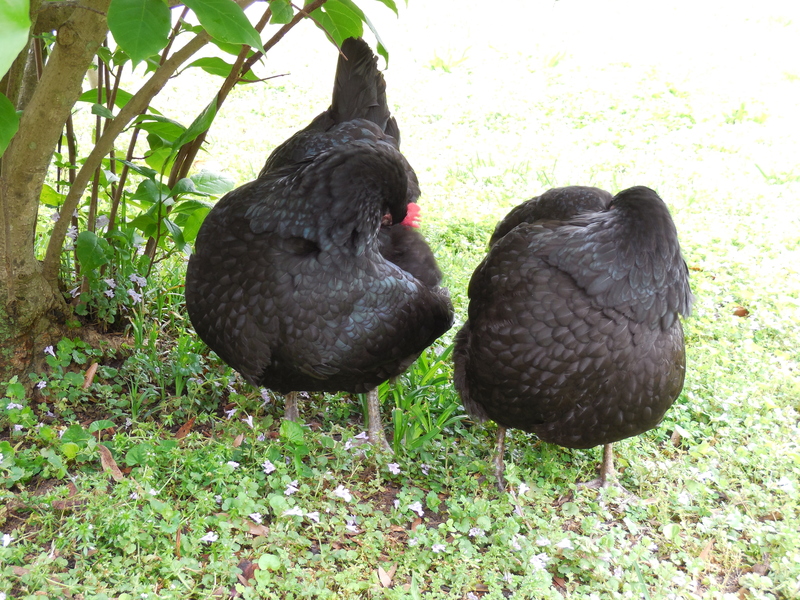 From an evolutionary standpoint, it is probably safer to have the whole flock preen together; that way at any one time some chicken’s eye is watching for predators. 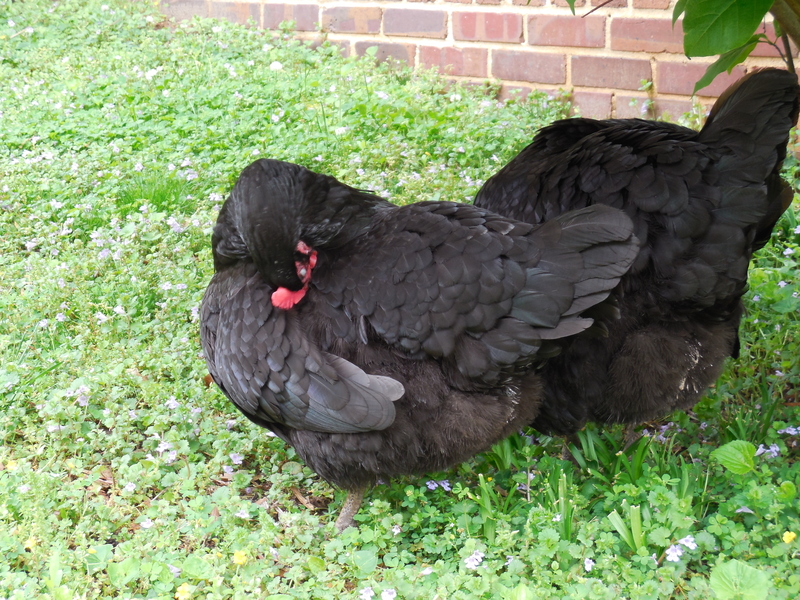 With our little flock, only two at the moment, they have demonstrated a preference to be under a bush while preening—also a safety instinct, I would guess. The whitish eyelid you see in the second picture (it’s on Anne) is the nictitating membrane—sort of an extra eyelid. 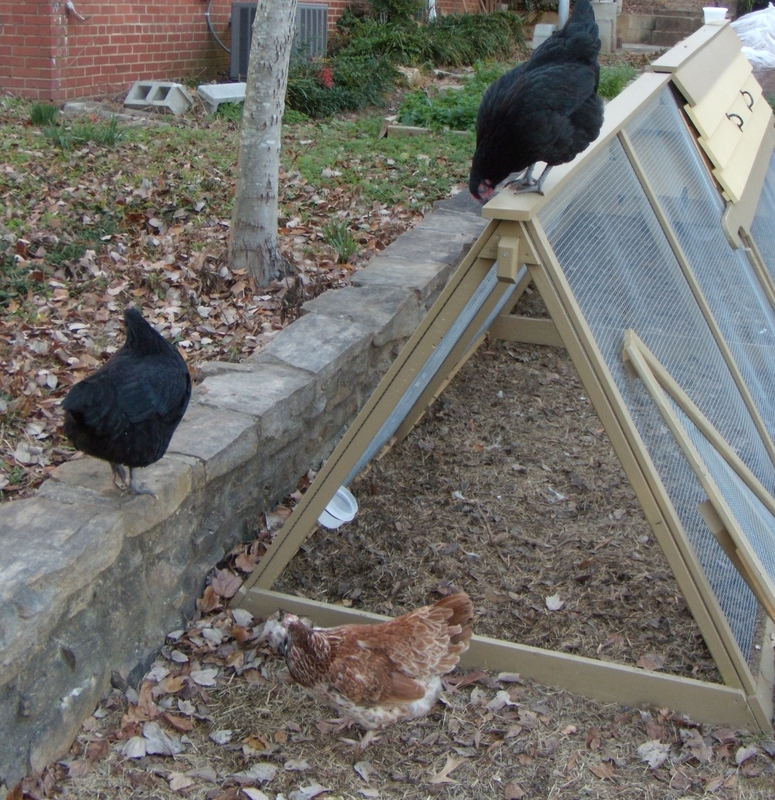 My understanding is that chickens use it kind of as PPE (personal protective equipment). 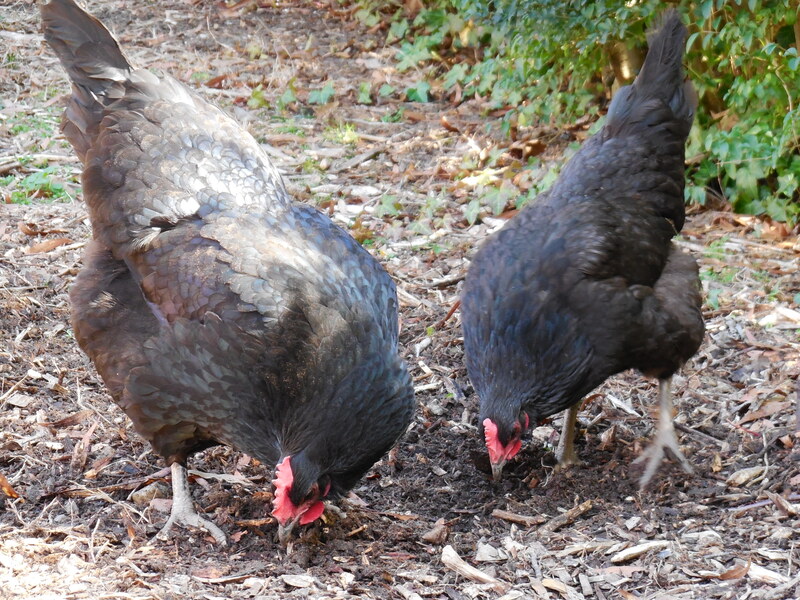 You tend to see it when they are dustbathing (presumably to keep the dust out of their eyes) or when they are preening (I suppose to avoid poking themselves with a feather as they’re digging in). They use a different eyelid (the lower one) when sleeping. The top eyelid apparently doesn’t move much. BTW today’s poetry prompt was to write a poem using only two vowels (a and e in this case). 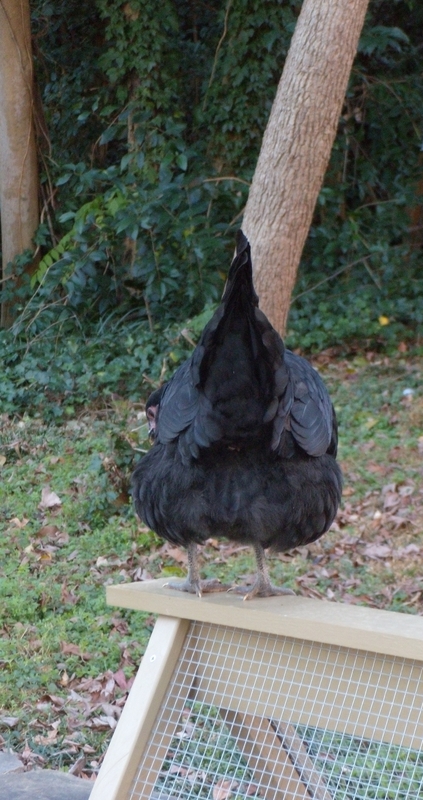 Not a very good poem, but it was fun to get pix of the preening. but I sure do appreciate that TSHR switch. but ever so glad you can’t aviate as well. Today’s prompt came from Poetic Asides: write a science poem. 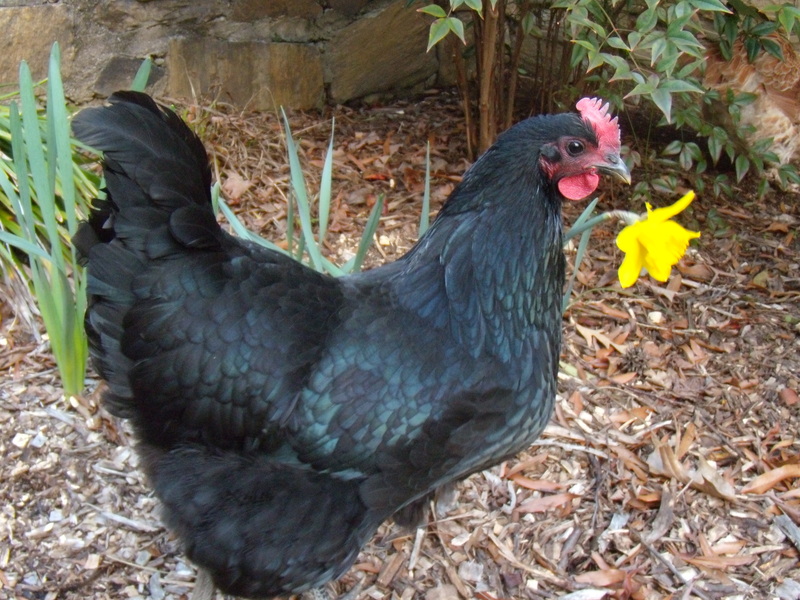 As I am taking Coursera’s course “Chicken Behaviour and Welfare” aka #chickenmooc, I thought I would apply my Week 1 learnings. but I sure do appreciate your eggs all winter. oatmeal dust from the pavement. ALARM! ALARM! ALARM! ALARM! ALARM! but ever so glad you can’t fly as well. the wind feels like rain.